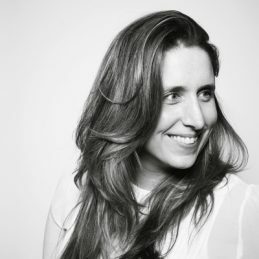 Carolyn is Managing Director of The Honeycomb Effect, and has nearly 20 years’ experience in the Advertising Industry – working primarily as a Strategic Planning Director for global advertising agencies including Havas, DDB & STW Communications. She is well recognised as a thought leader within the creative industries and is most recognised from her appearances as a regular panelist on ABC programs ‘Gruen Planet’ and ‘The Gruen Transfer’. She also appears on other shows such as The Today Show, Sunrise, and ABCNews24 as an expert in advertising and creative persuasion. She is also featured as a contributor in ‘The Gruen Transfer’ book on advertising. Carolyn’s client experience crosses various industries including automotive, healthcare & pharmaceutical, beauty, luxury goods, FMCG, consumer electronics and retail. Her ability to adapt her thinking to the situation at hand is one of the key reasons she remains in demand as a strategist for both large organisations and SMEs alike. Carolyn is also highly regarded as a professional speaker and workshop facilitator. She is regularly interviewed in the mainstream media in regards to topics related to advertising, brand and communication strategy, and has appeared numerous times in the Sydney Morning Herald, The Daily Telegraph, news.com.au, yahoo7.com.au and The Australian. Carolyn is also an accomplished writer, and has written articles, opinion pieces and reviews that have appeared in Drum Media and Design Federation, as well as industry publications such as Adnews. In addition to her industry experience, Carolyn has an Executive MBA from the University of Technology Sydney and a BA in Communications from the University of Western Sydney. She has also repeatedly featured as a guest lecturer at AdSchool, and has worked as a trainer for the Australian Pharmaceutical Marketing & Research Group (APMRG) on numerous occasions. She is currently a member of the board of Family Planning NSW, and is also a Brand Ambassador for Bright Employment – offering refugees the opportunity to find meaningful employment. Innovation doesn’t happen in an environment that isn’t willing to evolve its behaviours. The creation of successful new ideas also means allowing space for some ideas to fail – and this is seen as a big risk for many organisations. So how do you create a culture for innovation whilst managing risk within an organisation? This topic will give suggestions and tactics to bring the best of new ideas from both management and employees. This will also run through some of the key measurement tools that can be used in order to test an idea’s potential – before it grows into an expensive lesson. An engaging and visual presentation into why creative thinking can enhance businesses. Whether it’s thinking creatively to come up with solutions to business problems, untapping new opportunities or simply motivating staff and clients, creativity not only makes sound economic sense, it also makes working more enjoyable. This style of presentation is designed to make people question their usually linear way of thinking, and be inspired to consider how they can bring more creativity into their workplace.